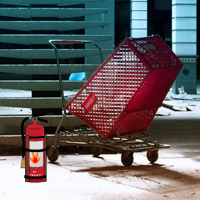 BEG Big Abandoned Mall Escape is another point & click escape game developed by BigEscapeGames. In this escape game, you are trapped inside a big abandoned mall. By finding useful objects, hints and solving puzzles you need to escape from that place. Good luck and have fun! Nice easy game, thanks BEG. I remember some of these scenes in another long time ago in a game!